An Infinity membership is a lifetime membership to Treklanta and is valid for the lifetime of the member who purchases it or for whom it is purchased. 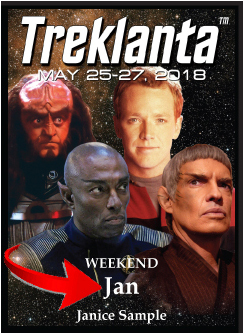 An Infinity membership includes a full three-day badge to the convention each year, every year, for as long as Treklanta continues to hold conventions. Infinity memberships are $500 plus PayPal fees. An Infinity membership shall be for the sole and exclusive use of the person who purchases it or the person for whom it is purchased. Once assigned to a specific individual, an Infinity membership may not be sold, assigned, bequeathed, conveyed, donated, exchanged, gifted, given, granted, leased, loaned, pledged, traded, transferred or used by any other person for any reason whatsoever. This special package includes one full three-day adult membership, one ticket to our exclusive VIP Champagne Reception (see below), one convention t-shirt, one autograph* from each celebrity Guest of Honor, front-row seating at all ballroom and programming room events, a special con badge identifying your membership status, and any additional benefits that may be announced in the future. 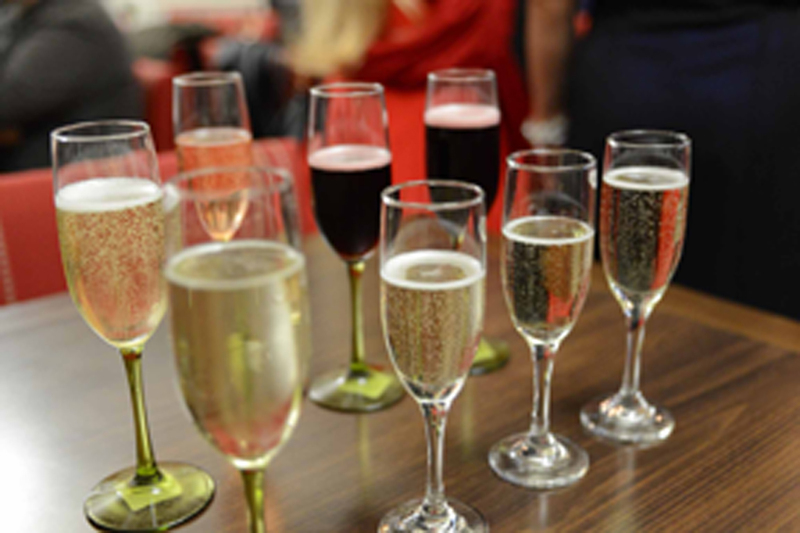 Because an Ambassador membership includes a ticket to our VIP Champagne Reception, these memberships are restricted to adults age 21 and over. Ambassador memberships are $150 plus PayPal fees. * Please note: Only the autograph itself is included in this package, not the tangible item (photo, book, etc.) to be autographed. You may provide any item of your own to be autographed, or you may purchase an unautographed item from the guest for autographing at no additional charge. Preregistered memberships include one personalized badge and access to all convention events and activities except our VIP Champagne Reception, Fleet Admiral's Dinner Buffet and Region 2 Summit Awards Banquet Buffet (each sold separately; details below). Three-Day memberships are recommended for Friday arrival and Two-Day memberships are recommended for Saturday arrival. One-Day memberships may also be purchased for Friday only, Saturday only and Sunday only. Two-Day memberships are not available for Friday arrival. Memberships for children under age 6 are free with the purchase of an Adult membership. Rates for Preregistered memberships will remain in effect until May 10, 2019. After May 10, 2019, memberships will be available only at the door at the higher rates shown below. 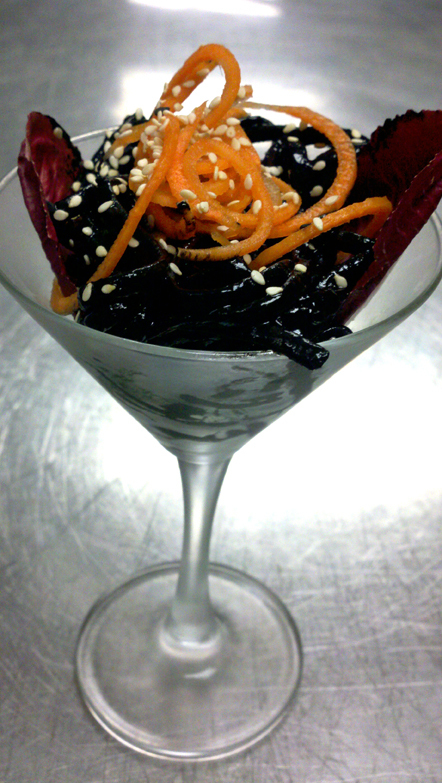 Have drinks and delicacies with our Guests of Honor! Kick off the convention by enjoying a delicious selection of catered light hors d'oeuvres, various champagnes and a delightful presentation of Klingon gagh in an intimate, dinner-style atmosphere with our Guests of Honor Aron Eisenberg, Bill Blair, Nichole McAuley and David R. George III, as well as our Guardians of Forever, Ambassadors and the Chairman of the convention, from 8:00 to 10:00 p.m. Friday evening. This exclusive reception will be held in the Presidential Suite on the top floor of the hotel and admittance will be restricted to ticket holders. Attendance is limited to 30 persons and restricted to persons over the age of 21. 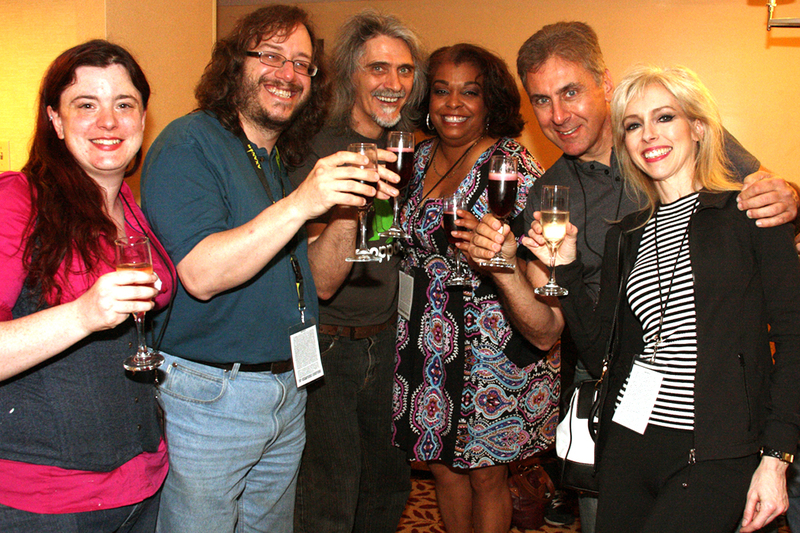 The VIP Champagne Reception is included in the Ambassador Membership (above) and may be purchased separately and in addition to all other membership categories for $40 plus PayPal fees. Please submit the Membership Application below to purchase admission to the VIP Champagne Reception. PLEASE NOTE: The VIP Champagne Reception is a cocktail reception. Accordingly, cocktail attire (or formal Star Trek costume) is respectfully requested. "Cocktail attire" can be anything from business casual to semi-formal. For gentlemen, this means shirt, tie and slacks or better; for ladies, this means pant suit or cocktail dress or better. Casual dress (e.g., jeans and t-shirts) is discouraged. 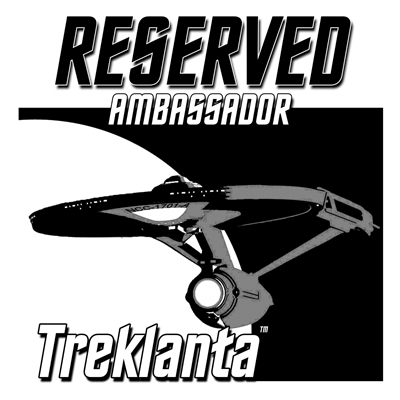 Treklanta is pleased to host the 2019 STARFLEET International Region 2 Summit! Two of the Summit's most highly anticipated events are the Fleet Admiral's Dinner on Friday evening and the Region 2 Awards Banquet on Saturday evening. 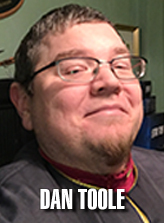 Commander STARFLEET Dan Toole and Region 2 Regional Coordinator Ryan Case will attend both events. All Treklanta attendees are cordially invited to attend either or both events, which will be catered by the hotel, at additional charge. 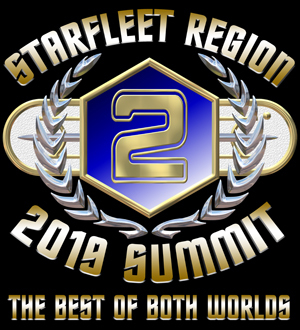 It is an honor to welcome Commander STARFLEET Fleet Admiral Dan Toole, president of STARFLEET International, to Atlanta and the 2019 Region 2 Summit! 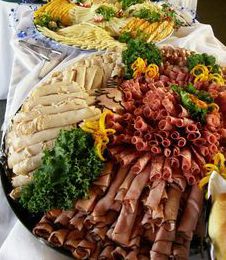 Come enjoy a delicious catered dinner buffet with the elected president of "the international Star Trek fan association" of which the USS Republic, the organizing host of Treklanta, is a duly commissioned chapter. Meet and socialize with other members of Region 2 and join us to recognize and celebrate a very special anniversary. The Fleet Admiral's Dinner is $30 per person plus hotel banquet fee, sales tax and PayPal fee. Please submit the Membership Application below to purchase admission to the Fleet Admiral's Dinner Buffet. The annual Region 2 Awards Banquet is arguably the single most important Regional activity of the entire year! Join us for an absolutely exquisite dinner buffet specially prepared for Region 2 by Chef James Chien! Formal dress uniforms encouraged but not required! The Region 2 Awards Banquet is $40 per person plus hotel banquet fee, sales tax and PayPal fee. Please submit the Membership Application below to purchase admission to the Region 2 Awards Banquet Buffet. Please fill out and submit this form to purchase a convention membership and/or admission to our VIP Champagne Reception, Fleet Admiral's Dinner Buffet and/or Region 2 Awards Banquet Buffet. Only one membership may be purchased per each form submission. 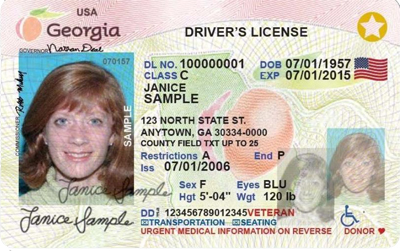 Must include at least your first and last name as it appears on your government-issued ID. Also include any initials and/or suffixes you would like printed on your badge. You must present your ID at Registration to pick up your membership badge. All attendees of the convention must wear their badge in convention areas at all times. 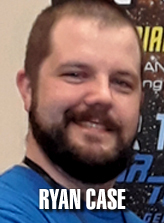 Badge-sharing is strictly prohibited and anyone caught sharing a badge will be immediately ejected without refund and permanently banned from the convention. Lost badges can be replaced at the convention for the then-current at-the-door weekend price. Can be any name you want: Your first name, your full name, your nickname, your cosplay name or any other name. Your badge name will be set in large type. In the event we need to contact you about your application, payment, membership or the convention in general, please provide an email address that you check regularly. If you are applying for membership for a child, enter the email address of the adult who will be accompanying that child at the convention. 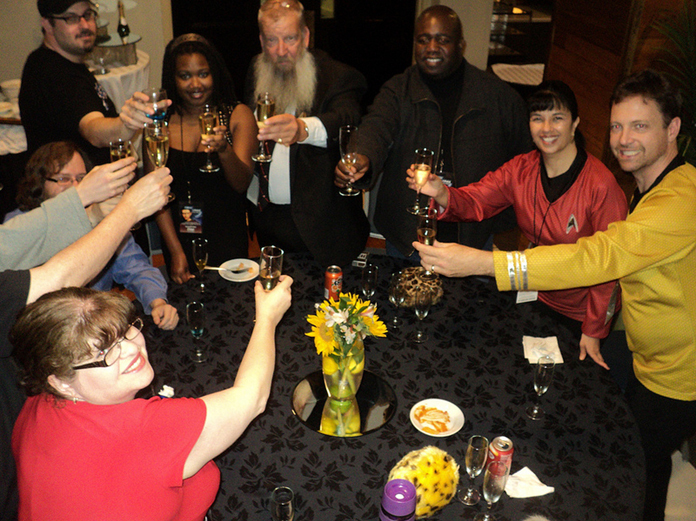 When you click the Submit button below, you will be directed to a new page where you can purchase your convention membership, admission to our exclusive Friday night VIP Champagne Reception, Fleet Admiral's Dinner Buffet and Region 2 Awards Banquet Buffet, and our souvenir commemorative t-shirt. We look forward to seeing you at Treklanta!